House of FraserHouse of Fraser. The 169-year-old UK department store House of Fraser fell into administration on Friday after failing to secure a rescue deal. Sports Direct, the sports retailer run by billionaire Mike Ashley, bought the chain almost immediately for a reported £90 million. Accountants EY had been appointed to find a buyer for a House of Fraser, which employs 17,500 people across the UK. LONDON – Beleaguered UK department store House of Fraser has reportedly been snapped up by Sports Direct just hours after collapsing into administration. 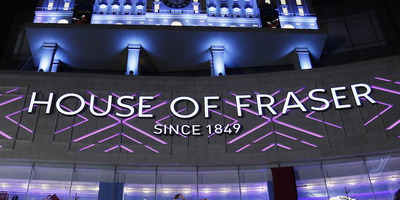 House of Fraser said in a statement on Friday that talks with investors and creditors had “not concluded in a solvent solution” and EY were called in as administrators. House of Fraser employs 17,500 people across nationwide. 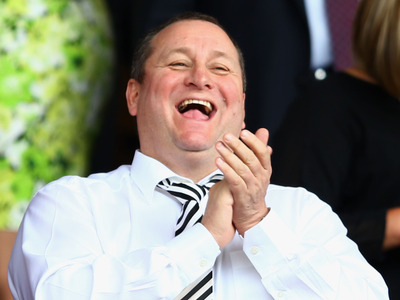 However, just hours after news of the administration broke,Sports Direct announced it had struck a deal to buy House of Fraser out of administration for £90 million. Sports Direct is run by billionaire Mike Ashley, who also has an investment in House of Fraser’s rival department store Debenhams. Companies fall into administration in the UK when they become insolvent, with debts larger its assets. Administrators are appointed to take control of the business and act in the best interest of creditors, realising value by selling the business part or whole. GettyMike Ashley is reportedly an early front-runner to buy House of Fraser. House of Fraser, which was founded in 1849 in Glasgow, has been at risk of toppling for several months. The department store’s Chinese owners tried to seal a rescue deal earlier this month that collapsed, leaving House of Fraser in a precarious position. The company also faced an extended battle with landlords to try and reduce its rents and buy more time.